Save time by Auto fulfill. The fastest way to finish your orders. 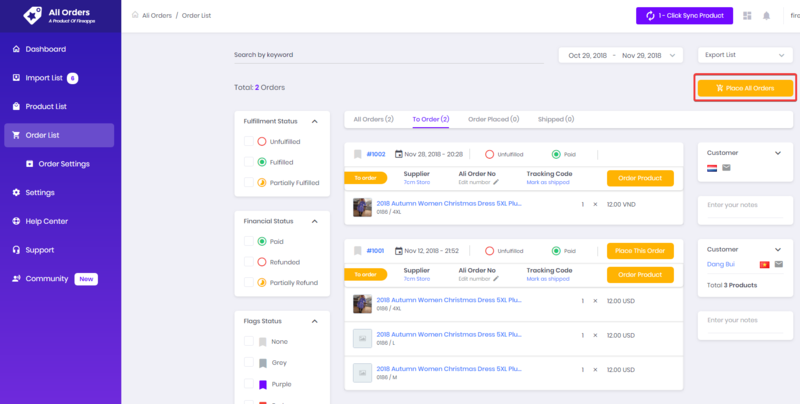 After you get an AliExpress product order, you first need to purchase the product from the supplier. Ali Orders will help you fulfilled order with 1-click. Before you start, make sure products are updated AliExpress link. Log in your account on AliExpress. Go to Order List > To Order tab > Click on “Order Product” button to fulfilled the selected order. Waiting for the process, Ali Orders will auto fulfill needed information and finish the order. Finally, quickly look all information, focus on the benefit of the order before you confirm & pay. Kindly note that the workflow of bulk fulfill order is priority fulfill from the oldest order to the newest one. Go to Order List > To Order tab > click on “Place All Orders” button to fulfilled all unfinished orders. There is a pop-up window in order to set up some conditions for order fulfillment. + All order pages: fulfill all unfulfilled orders on all pages in To Order tab. 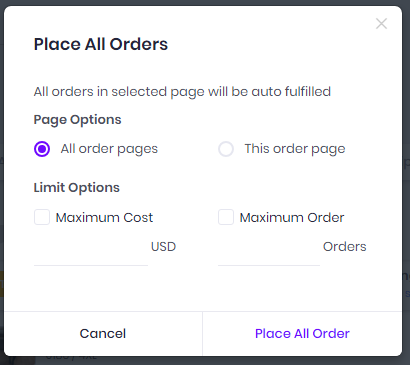 + This order page: fulfill all unfulfilled orders on the current page only. + Maximum cost: enter a maximum budget that you want to pay for these orders. 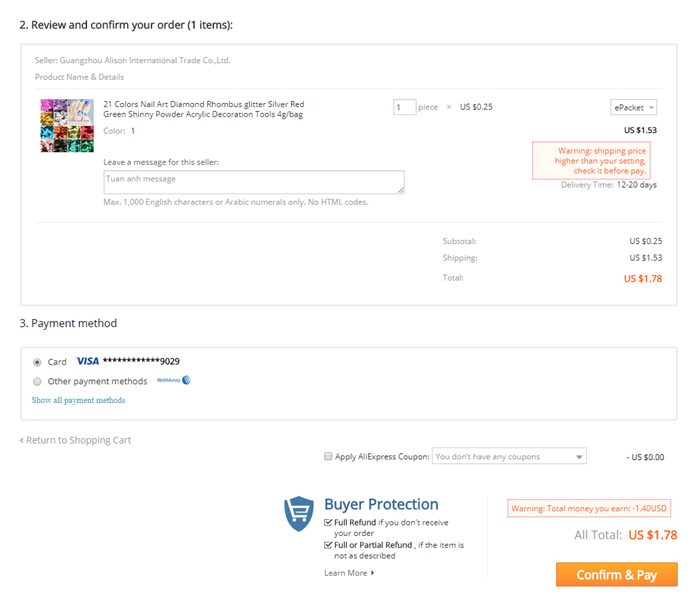 The fulfillment will be stopped when total amount of orders is over this maximum cost. + Maximum order: enter a maximum quantity of orders that you want to fulfill in this time fulfillment. Click on "Place All Orders" button and wait for the process, Ali Orders will auto fulfill one by one order. It starts from the oldest orders. Quickly look all information, focus on the benefit of the order before you confirm & pay. Then Ali Orders will auto move to fulfill the next order, until the last order. Note: You have to check and confirm payment for every order. After you confirm payment and finish fulfill one order, Ali Orders will move to the next one.